If you think about what you’d rather be doing right now, travel is most likely at the top of that list. But that doesn’t mean that it’s always a smooth ride. 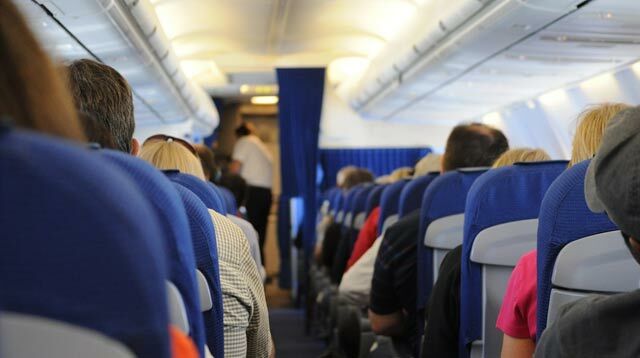 We all know how uncomfortable planes can be, especially if you’re stuck sitting in the dreaded middle seat; you have to constantly climb over someone just to get to the bathroom, and there’s never enough space because you’re sandwiched between two other people. Fortunately, someone recognized the struggle. Molon Labe Seating has come up with a new design that’ll make things less stressful for those who aren’t lucky enough to book a window or aisle seat. The "Side-Slip" is meant to make room for people boarding the plane, and is apparently, three inches wider. The middle seat is also slightly lower, making it less likely for you to rub shoulders with your seatmates. So yes, you’ll still have to climb over someone every time you need to relieve yourself, but at least you’ll be way more comfortable! We can’t wait until every airline implements this genius invention!